EVEN two years ago, endometriosis was a disease unknown to anyone but those who suffered from it. Women waited up to 12 years to be formally diagnosed, all while going through symptoms such as extreme pain and vomiting as the endometrial tissue spread through their bodies every time they got their period. But the prognosis for women diagnosed with the disease in the future looks radically different to the one women face now, thanks the actions of existing sufferers. "I think there's a movement happening and it's coming from the ground up," Endometriosis Queensland president Jessica Taylor said. "It's coming from those women and girls who are saying 'I'm over this and I've had enough'." A sufferer herself, Jessica was a member the steering committee that helped develop Australia's first National Action Plan for Endometriosis. 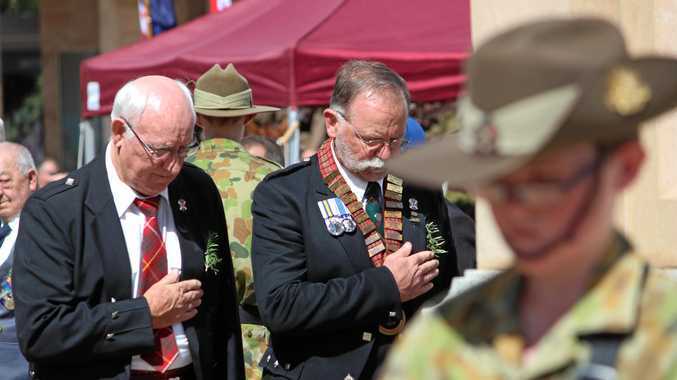 The national action plan was released earlier this year and has helped signal a major change in the way the disease is considered by GPs and Australia's major medical bodies. It was launched with a national apology to endometriosis sufferers issued by Health Minister Greg Hunt. In the aftermath of the apology, Jessica said Qendo's support hotline was flooded with emotional phone calls from women across the state. "People just felt validated," Jessica said. "What they've been going through is so serious." She said the disease cost women an estimated $7 million over their lifetime, in loss of productivity, lost opportunities and treatment costs. One in ten Australian women will be diagnosed with endometriosis and it takes from 7-12 years on average to diagnose. "I know so many women who have had their appendixes out (because the pain is so strong)," Jessica said. "There are girls with it in their lungs. There's girls with it in their brains, in their nasal cavity. "It is an incredibly painful disease." In its 30th year, the volunteer-run group is now helping women in regional areas and school students to deal with the ramifications of the disease. It will host a women's health expo in the Darling Downs next March where up to 1000 people are expected to attend. In Bundaberg, both sufferers and medical professionals will be invited to hear from major voices in two events designed to help Queensland's women. Other programs are on their way. A menstrual education program is being developed for girls in Queensland schools from the Darling Downs to Wide Bay. Literature developed by Qendo is made available to girls and women in doctors surgery's across the state. Jessica said girls as young as nine were now being diagnosed with the disease, and facing a less painful life because of early diagnosis. "They will have a far better life outcome if endometriosis is picked up earlier," she said. "If a girl is diagnosed as soon as they can be, they can get on the right treatment plan." Isabella Golding runs Qendo’s Dalby Endomeets. Isabella Golding runs Qendo's Endomeets in Dalby. The support groups are run in multiple locations across Queensland and offer a space for sufferers and their families to come together over tea and coffee. At 24, Isabella has suffered from symptoms for the past eight years. She was only officially diagnosed after her second laparoscopy two years ago. "I'd not be able to go to work," she said. "It got to a point where I was concerned I wouldn't be able to finish my degree." "I was just in pain all the time and thinking I was going crazy." It took three specialists and multiple GPs for Isabella to be formally diagnosed. She secured a referral to a new specialist at the Wesley hospital in Brisbane. She saw him on Monday. By Wednesday she was in the operating theatre having a second laparoscopy. "He diagnosed me that day," she said. "It was sad, but it was also great to know that I wasn't going crazy. "It's frustrating it took that many people to listen to me." Isabella now uses physiotherapy and diet to help manage the disease, and had a third laparoscopy to reduce her pain. She has been volunteering with Qendo for the past 2 years and helped start the chapter in Dalby where she is now a primary school teacher. The first support group in Toowoomba also started earlier this year. "The girls are so inspiring," she said. Since her own diagnosis two years, endometriosis has undergone a dramatic public perception overhaul. With celebrities such as Emma Watkins (better known as the yellow Wiggle) and Sophie Monk revealing their diagnoses, the disease is now almost a household name. Isabelle encouraged women with painful periods to see a GP, and seek a second opinion if necessary. "You know your body better than anybody," she said. "It's like being your own patient advocate." Women interested in attending the Darling Downs health expo can find more information here. 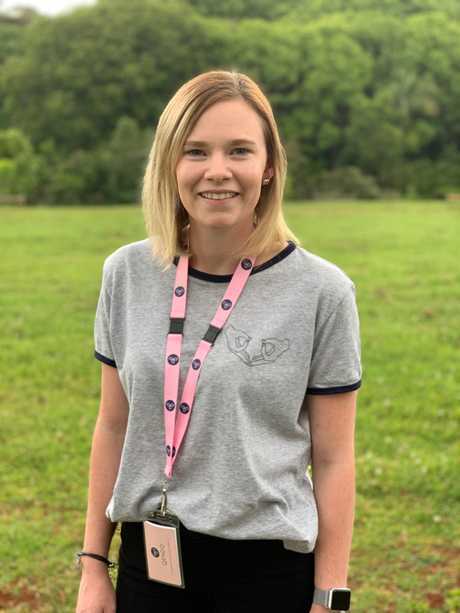 TEAGAN Deer was not formally diagnosed with endometriosis until she moved away from her hometown of Bundaberg for university. 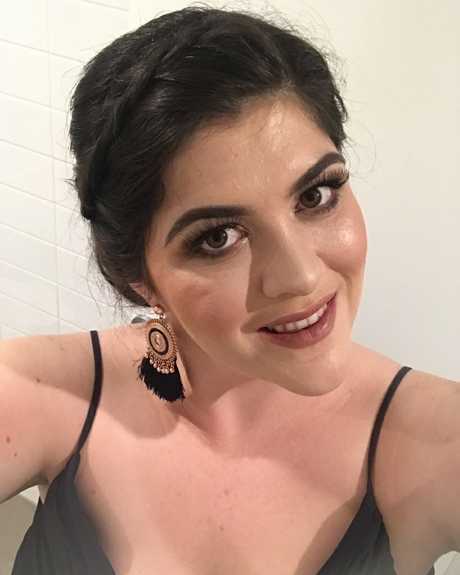 At 21, a new specialist in Brisbane questioned if her gastrointestinal symptoms, which had been bothering her for more than eight years, might be because of endo. After a laparoscopy, which is the only way to diagnose the disease, she finally found an answer for her health problems. "I remember just waking up and feeling so relieved," she said. "You feel like you're never going to get an answer." Teagan now has a degree in reproductive sciences and is working to gain her masters in education. She has turned her attention back to her hometown, where she regularly visits, to help other young women who may not know they have endometriosis. Bundaberg will host an endometriosis information session next March to help educate women and medical professionals across the Wide Bay. Leading gynaeocologist Dr Susan Evans will appear as guest speaker at the event. Teagan said she hoped to launch local Endomeets for Bundaberg and nearby cities such as Gladstone after the information session. She said receiving treatment in regional areas took longer than in major cities like Brisbane. "I know in Bundy, there's only one hospital where you can have your baby," she said. "There are those specialists (in regional areas), but you might wait six months to see one." Knowing what symptoms are worth asking a GP about can also be difficult. "A lot of young girls get that idea that you've just got period pain," Teagan said. "I think there are a lot of people who don't even know they have endometriosis." Teagan now uses exercise and some alternative therapies to help manage her disease alongside her specialist treatment in Brisbane. She urged anyone from across the Wide Bay who was interested to attend the March information sessions. One session will be held for the public and one will be held for healthcare professionals, with details to be announced closer to the day. Visit the Qendo website to find out more.